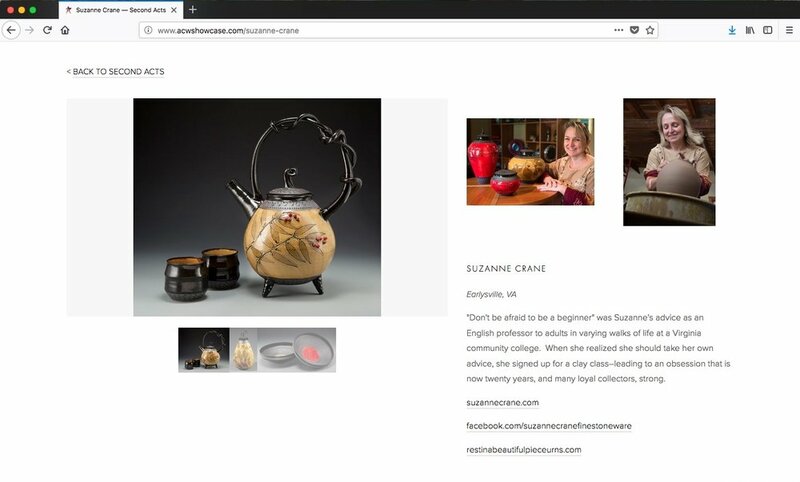 In 2015, American Craft Week approached me about creating the first national online art exhibit to showcase juried American craft. The exhibit became an annual event in conjunction with American Craft Week festivities every October. Shows differ in theme every year and range from 25 to 50 artists and 50 to 90 pieces of art. 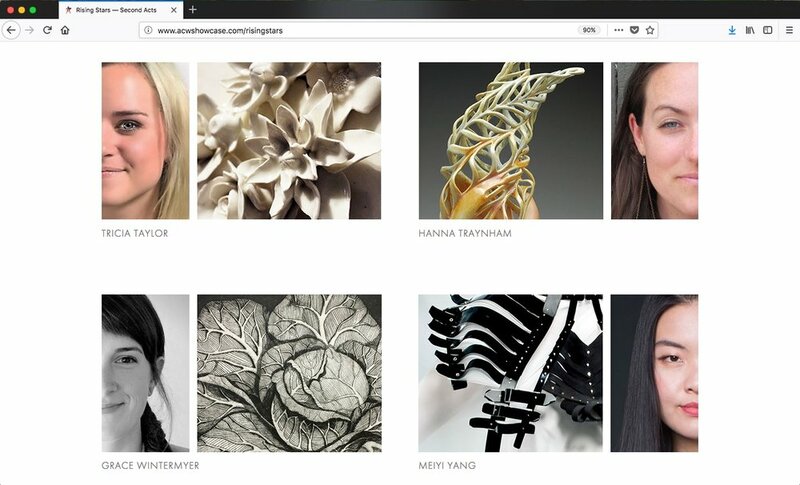 The site is designed to be sleek and clean like pristine art gallery walls and signage, and has full ecommerce capabilities. A dynamic landing page begins the show.